We strive everyday to ensure our customer's complete satisfaction. By providing prompt and courteous customer service, we have built a family of loyal customers. We don't stop there. We are also here to answer any questions you may have, so feel free to contact us anytime with any questions. We try to maximize our customer's experience at home, be it infront of a cozy fireplace, or in an outdoor oasis. 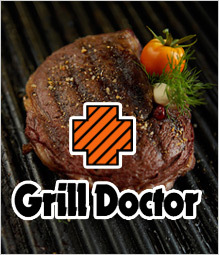 We are family owned and operated and began in the outdoor grilling industry in 1985. After many years of retail success, we are now focusing more on our on-line presence as well our repair service. We have helped many in the Dallas/Ft.Worth area achieve their ultimate outdoor experience and wanted to share our expertise and advice to a broader community. We certainly enjoy our time at home with our family and friends and wanted to share that experience with you, our customers. You may even see one of our favorite recipes listed.